The New Dock Has Been Installed! The TLA and its members are pleased to announce that a new dock has been installed on the north east side of the Temagami Island Old Growth trails providing safe access to the recently brushed and signed trails. Details of financing and the partnerships that made this possible can be found on the first page of your Summer Temagami Times, or read the article here: TLA Collaborates with Community Groups to Plan New Future for OLD GROWTH FORESTS. This past summer, several volunteers from the Friends of Temagami and others cleared parts of the old-growth trails on Temagami Island. The blue and red trails on the island were tackled by the Friends of Temagami with the active support of the TLA, requiring a day or two of work to complete. In the coming years, the Friends of Temagami anticipate further work on the trails, to maintain their quality, so look forward to further updates next year and beyond. Stop by the headquarters building next year to pick up a colour map or laminated copy, and discover the trails for yourself. The hike through the woods along the blue loop trail (the main section cleared over the summer) is somewhat challenging and takes about an hour to 90 minutes to complete, but the scenery is not to be missed! The forest is absolutely spectacular, and you almost feel like you’re the first travellers to discover the island as you walk. 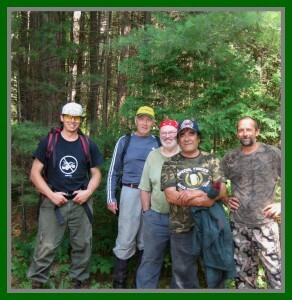 We would like to extend a heartfelt thank you to the Friends of Temagami for their hard work this summer! 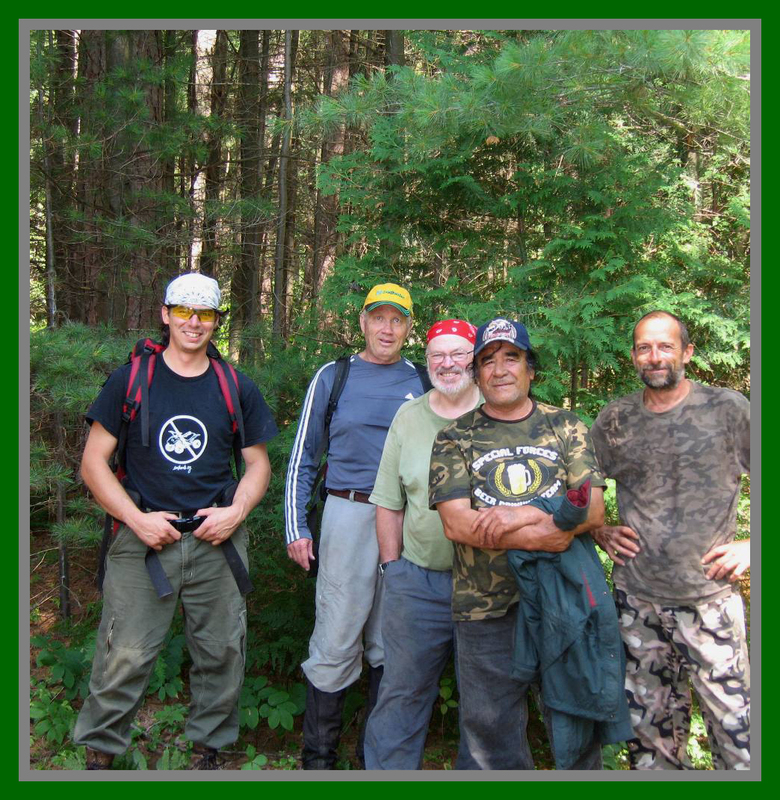 Friends of Temagami volunteers shown here did some clearing and brushing of trails through Old Growth forest on Temagami Island in late July.